Overlooking the panoramic view of Orcas Island in Washington State is a house that is surrounded with madrone trees, firs, bench, thistle, moss and rocks. 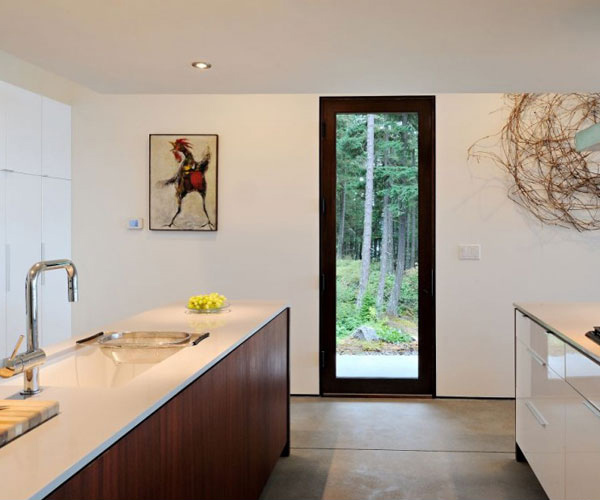 The story behind the contemporary design of this house was the clients’ desire to have a minimal, open and low maintenance design that will complement the location. She was inspired by the landscape, rocks and the sight of the nature. The client is also an artist. 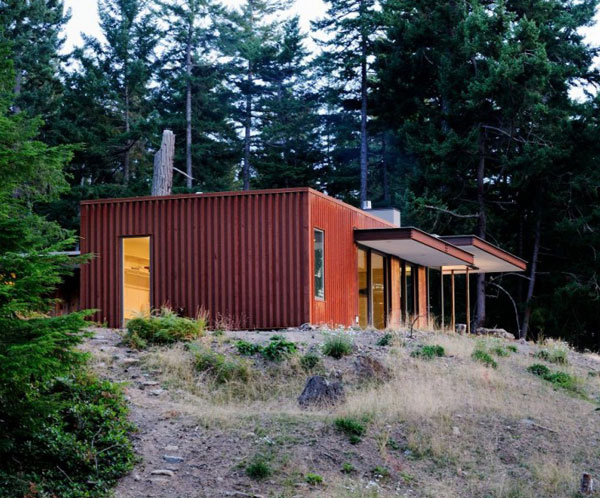 This is an L-shape residence that is seated in the rocky forest place. 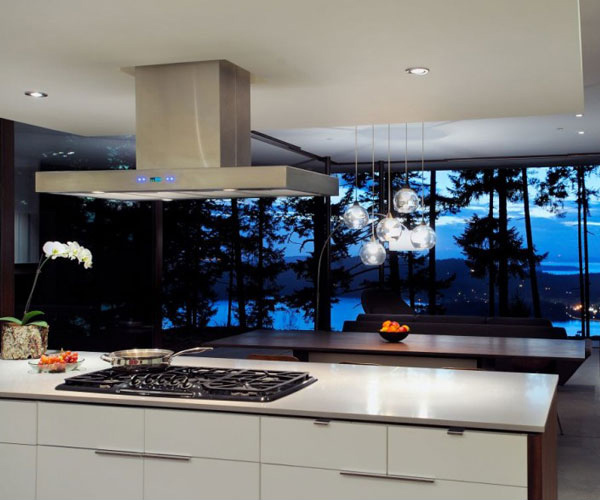 The client wanted to have limitless view of the island, as well as the forest and ledges from the inside. The features of this house contains the kitchen-dining-living-area, study, master suite, art studio and a storage area. 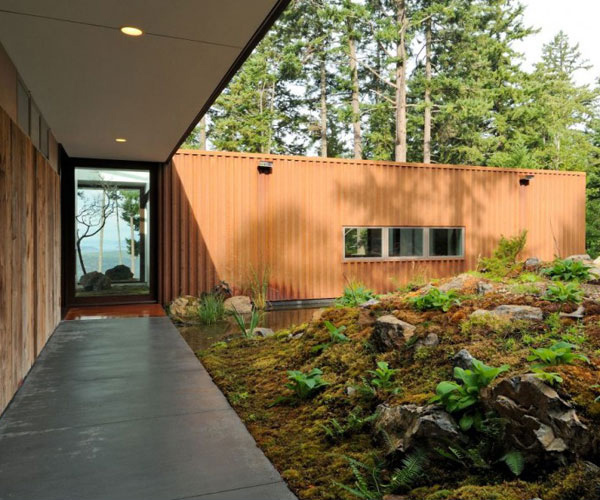 The client’s preferred materials was used such as the old barn wood, rusty steel, the moss and rocks. 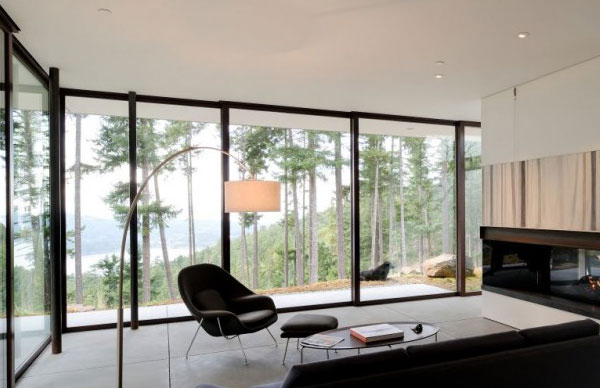 The highlights of this house are the large sliding doors that unlock the house to a more spacious scenario that invents a living room in the woods. 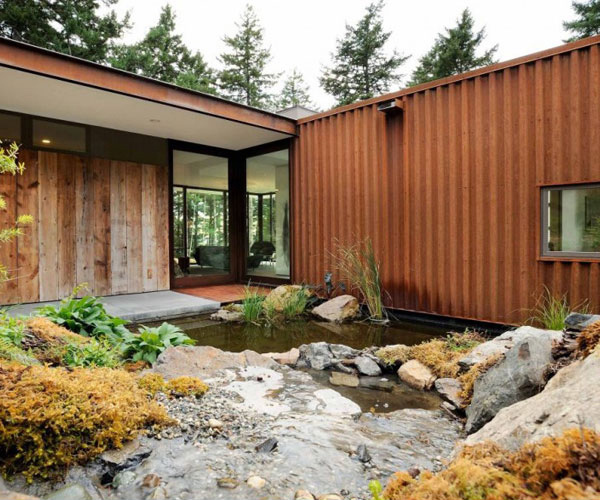 It has an entry garden that divides the house into 2 regions. First it complements to the site and an exposure to the beautiful picture from the outside. It has an 800 square feet art studio and a storage area which are preserved for additional bedrooms in the future. 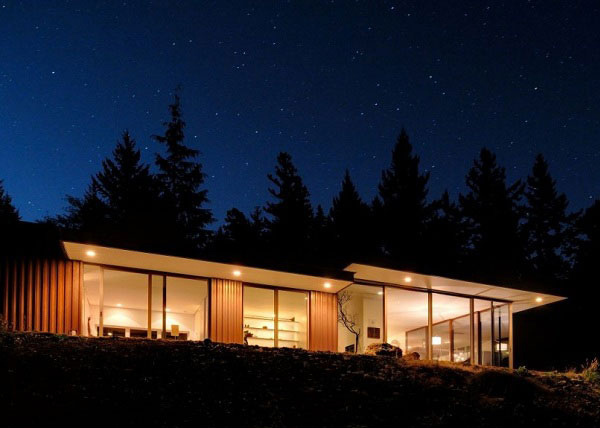 This house is called as the Eagle Ridge House. 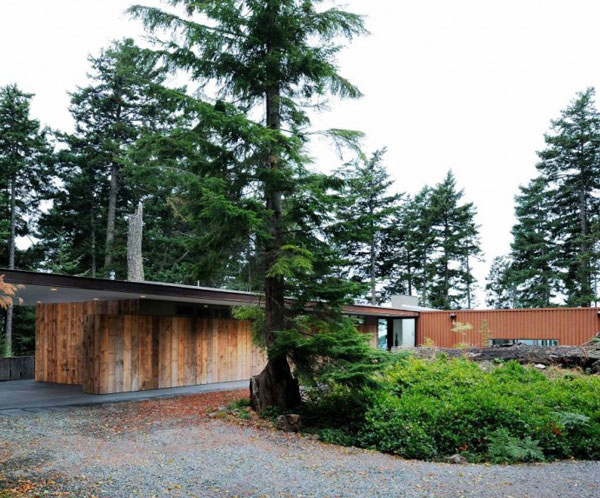 Now you may check the different zones of this Eagle Ridge house below. 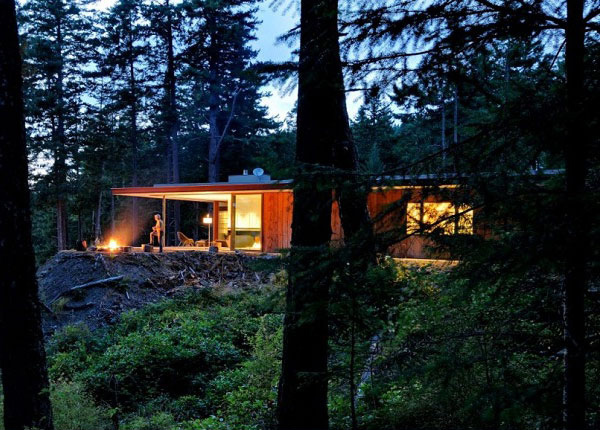 Certainly you will be captivated with this house as you see it behind the woods. In the morning, you will be delighted to see this house in the heart of this green trees and rocks. Inside the living room, you will extremely see and feel the serenity of the scenic view from the outside. The wooden chairs and tables are highly chosen by the client that adds elegance to this dining room. This is the usual sight that you can see when you grab your favorite book and take a seat in this cozy sofa. 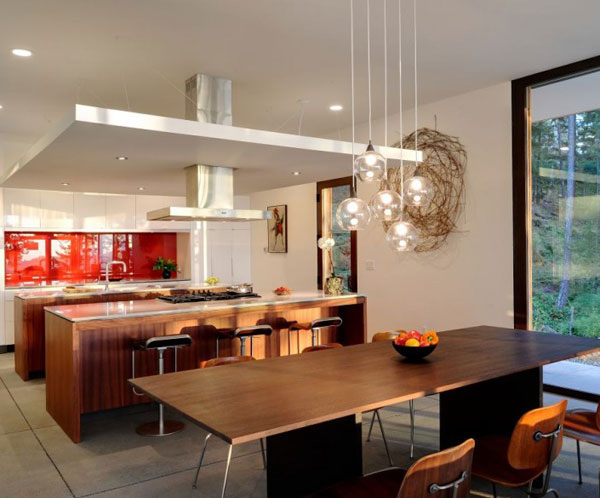 This is an exquisite kitchen area where you can also freely see the beauty of nature from its glazed walls. You can see the neatness and cleanliness of this kitchen sink. 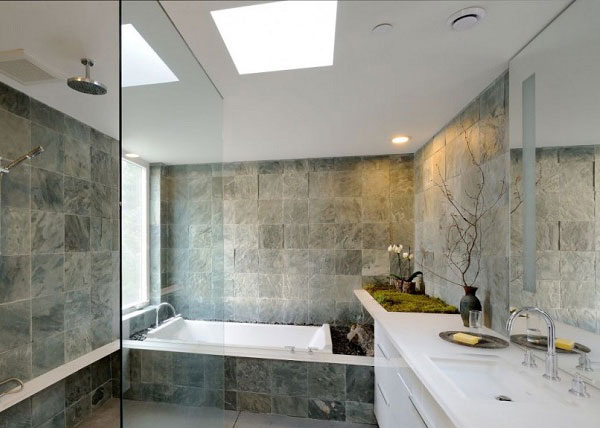 You will truly be amazed on this contemporary bathroom. This area is one of the best layouts of the house. This small room is designed for the installation of that big stone and a dry branch. 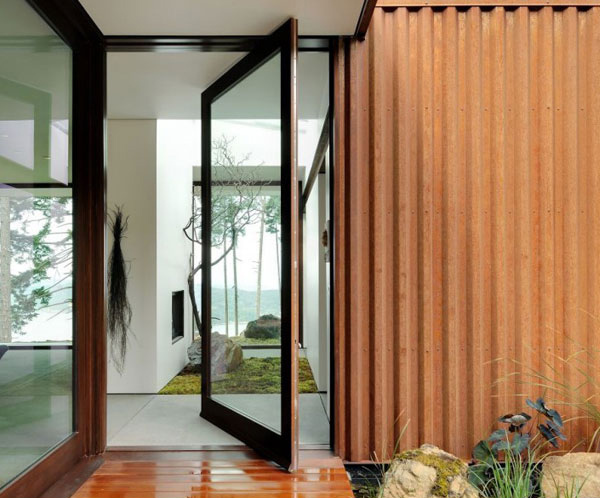 This sliding door serves as the gateway from the view in the interior to the exterior of the house. This is the exterior view of the house. This is the small island concept in the exterior of the house. This is the garage area of this Eagle Ridge House. Even at night the elegant look of the interior is highlighted here. 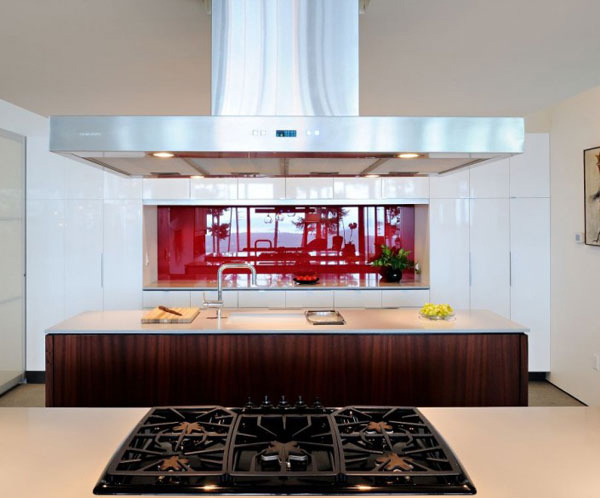 This open layout residence was fruitfully designed by the Gary Gladwish Architecture. The dream of the client to have a simple house was achieved. 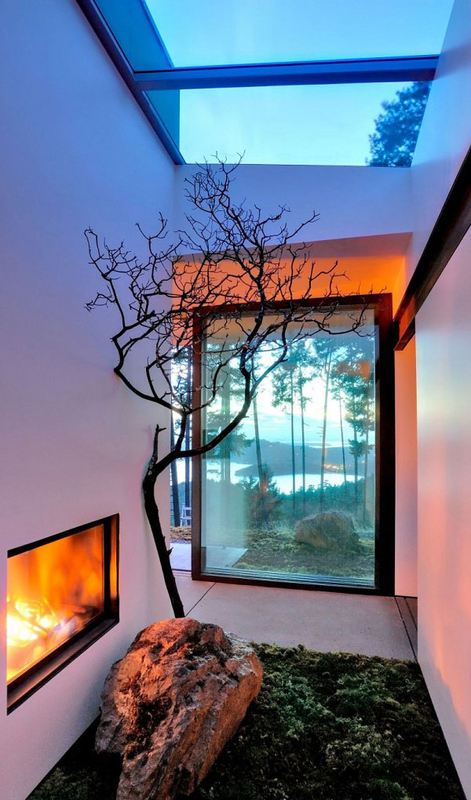 The vital role of landscape, rocks and nature are also applied in his house. 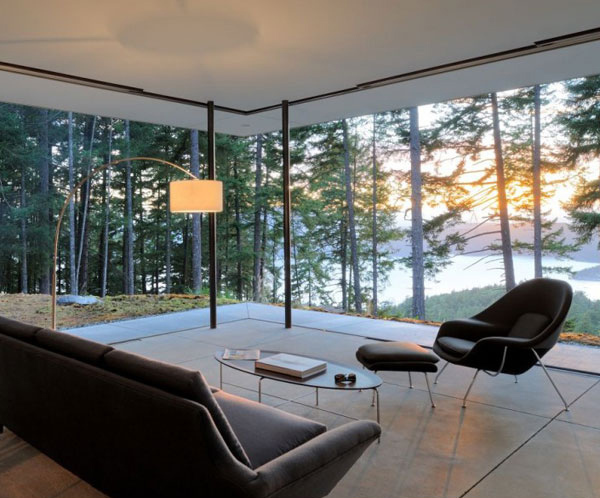 We can say that this house is close to the nature because you can see the natural beauty of nature from the interior. Indeed the location of this house was the reason why the client is encouraged where to build the dream house.vAs you can see the interior of this house is also modernized with white palette and wooden furniture. Thus, the look of this house is somewhat deceiving. It has a very basic design in the outside but when you go inside, you will then discover its secrets.